Let True Love help you find the Joy that’s all around! 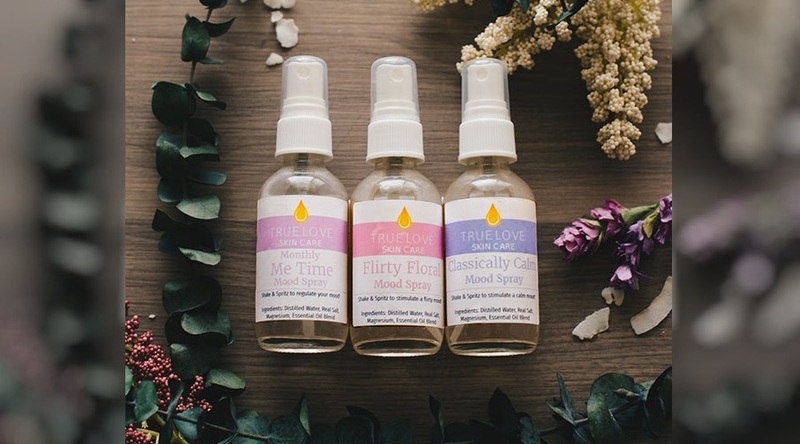 These terrific aromatherapy sprays will improve your mood, leave you smelling fresh, plus give your skin the minerals it craves! Each Mood Spray is specially formulated to nourish your skin naturally, plus improve your mood with essential oils. As with all True Love products, all without the use of artificial fragrances or fillers! The Joy Pack includes all 3 of our wonderful Mood Sprays – Flirty Floral, Classically Calm, and Monthly Me Time. 100% Satisfaction Guaranteed, so try it today! Flirty Floral – an all-natural mood spray for when you want to feel feminine, fresh, and feisty! Classically Calm – Reduce stress, release anxiety, and find your center with this calming aromatherapy blend. Monthly Me Time – this natural blend of essential oils & minerals helps to regulate a woman’s mood and achieve a balanced self.